Charlie Bird presents this documentary series that revisits some of the biggest news stories in Ireland and asks what happened next. It’s an interesting idea for a TV show to pick up on human interest stories after the media glare has died away (Liveline Call Back taps into that same curiosity). This first episode focuses on a story that dominated our news for weeks – two fishing boats, the Pere Charles and HoneyDew II, disappeared during a storm in January 2007. A huge search operation was carried out off the south east coast but the boats were missing without a trace and none of the bodies of the men on-board were ever recovered. Bird talks to those involved to find out how they are doing 10 years on. Based on John Irving’s book of the same name, The Cider House Rules boasts a stellar cast including Michael Caine, Tobey Maguire and Charlize Theron. Set during World War II, it follows the story of Homer (Maguire) who is brought up in a Maine orphanage overseen by Dr Larch (Caine). It’s a coming of age story for Homer who decides to give up the path of medical training offered by Dr Larch and gets a job picking apples on a farm (living in a dormitory with the other workers and abiding by the ‘Cider House Rules’). Homer falls in love with Candy (Theron) whose boyfriend is away at war. The plot also follows what’s happening at the orphanage, which also doubles up as a lying-in hospital where abortions are clandestinely carried out. The overall theme of the film strives for a feel good factor (some would say it’s too sentimental) but it balances this with trying to deal with some weighty issues around race, class and the ethics of abortion. Scheduled just after the last episode of Blue Planet II, this documentary gives us double Attenborough on a Sunday evening. The legendary TV presenter and wildlife expert delves into the story of Jumbo, an African elephant. Jumbo was the world’s first animal superstar and was said to have inspired the beloved Disney animation character Dumbo. But the giant elephant’s life was anything but a Disney fairytale. He was captured in the Sudan, transported to a zoo in Paris and then transferred to London Zoo in 1865 where thousands flocked to see him. Eventually he was sold to PT Barnum who brought him to be displayed in his circus in the States. 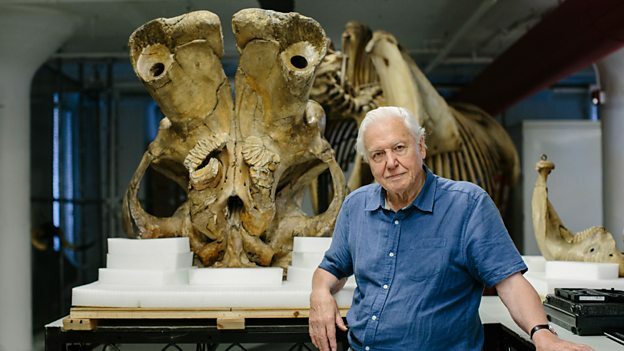 With help from experts, Attenborough uncovers tales of Jumbo’s night-time rages which suggest he struggled with his life of captivity. The programme also examines Jumbo’s bones and his keeper’s autobiography to tell a heartbreaking story. The circumstances of Jumbo’s death will also keep you gripped to this documentary.